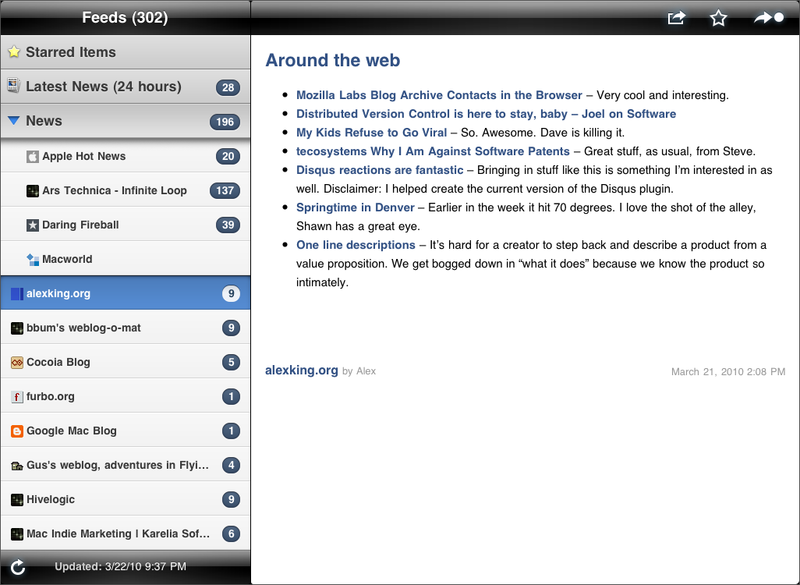 Home > NewsGator Technologies, Inc.
NetNewsWire for iPad is the same RSS reader you know from Mac and iPhone - but better. With a fresh new design and rewritten engine, it’s the most advanced version of NetNewsWire. Syncs with Google Reader, so your feeds are the same everywhere, and you only have to read an item once. Save articles for later by starring them or sending to Instapaper. Share articles with friends by posting to Twitter or sending via email — without leaving the app. If you need more information please contact the developers of NetNewsWire for iPad (NewsGator Technologies, Inc.), or check out their product website.